Introducing Xagave,complete replacement to sugar.Cranberry sauce,bread , topping and a Protein shake. Xagave(pronounced za-gah-vay) ,an organically grown premium blend of nectars derived from Agave Tequiliana (Blue Agave) and Agave Salmiana (White Agave) plants ,is an answer to all the blood sugar woes.It has low glycemic index(30),that will not raise the blood sugar levels(also reduces risk of heart disease and type 2 diabetes) unlike the sugar.Plus its sweeter than sugar that helps save calories ,as less is sufficient to sweeten.What more,its delicious and works well in everyday cooking ,has no after taste like some sugar substitutes.That's not all,its a good source of calcium ,iron,vitamins,minerals and inulin(a probiotic fiber essential for healthy immune system and even shown to reduce the risk of cancers).All these convincing reasons make Xagave a satisfying sugar substitute ,that gives you the best of both ,taste and health. The founder of Xagave,Stephen Richards and his Cookbook "Delicious Meets Nutritious"
Stephen Richards is a full-time business owner, husband and father and a part-time chef and health nut that loves to eat. He struggles with his weight like 67% of Americans. He comes from a family with a long history of diabetes and has always been concerned about his health, particularly as he ages. A couple of years ago, he was introduced to agave nectar and began to research it. He ultimately flew to the region in Mexico where it is grown and spent time with the growers and processors, learning about the product and its benefits. He engaged medical doctors to study the claims being made and he explored hundreds of recipes on his own. After several years, he developed Xagave, a blend of agave from several agave plants that incorporates the best taste, texture and health benefits that this wonderful plant has to offer. The Delicious Meets Nutritious Cookbook guides through using Xagave,history of agave ,properties and health benefits.Includes beautifully presented breakfast recipes ,quick breads,appetizers,salads,side dishes,quick & easy gourmet meals,sauces and healthy desserts all using Xagave as replacement of sugar. 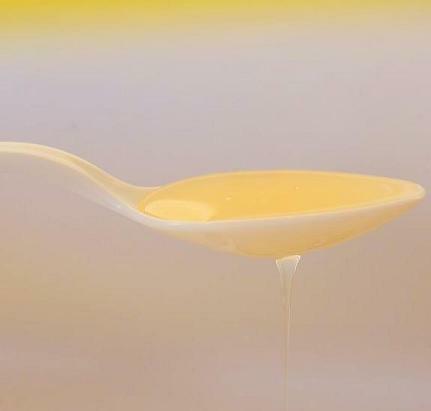 About 1/2 to 2/3 cup of Xagave is replaced for each cup of sugar needed.Refer to the Sugar Exchange Table for the quantity of Xagave versus sugar and the calorie comparison.Amazingly the Xagave also acts as a natural preservative with its ability to absorb moisture hence increasing the storage life.Completely soluble in hot or cold water, Xagave worked perfectly in all kinds of drinks,dressings and sauces.It also promotes rising in whole grain cooking resulting in light fluffy texture to the baked goods.Also note xagave will cook faster and at a lower temperature.Thanks to the representative of Xagave,I was offered a sample of this wonderful product along with the cookbook.Following are few of the delicious and easy recipes from the cookbook. 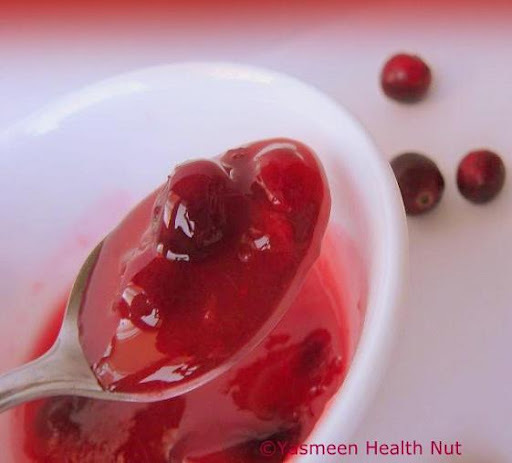 An awesome tangy sweet side with turkey or chicken,this fresh homemade cranberry sauce is far better than the canned ones usually loaded with sugar.See other variations of the sauce with oranges ,lemons and pomegranates. I use fresh cranberries that not only add the color but also the nice tang to the bread and the Xagave sweetens superbly. Heat Oven to 325F.Grease bottom of a 9x5 or 8x4 inch loaf pan. In large bowl,combine first 4 ingredients(flour,baking powder,salt and soda).Whisk the eggs in a another mixing bowl,add the oil,Xagave,zest and juice.Mix this wet mixture gradually in to the flour mixture until well combined.Pour in the greased pan and bake for 50-60 minutes or until toothpick inserted comes out clean.Cool for 15-20 minutes before getting out of the pan and slicing. Put all the wet ingredients in to a blender and blend.Add dry ingredient and blend until just slightly lumpy (about 30 seconds).Pour batter on to griddle about 1/4cup at a time when hot and cook until bubble form and edges dry.turn and cook on other side. Put berries and Xagave in a pot and bring to a boil.Reduce heat to simmer.Mix corn starch in 2 tablespoon water and stir until all lumps are gone.Pour corn starch mix in to berry mix while stirring slowly.Stir until topping thickens(1-2 minutes) and begins to bubble.Serve hot over pancakes and waffles. 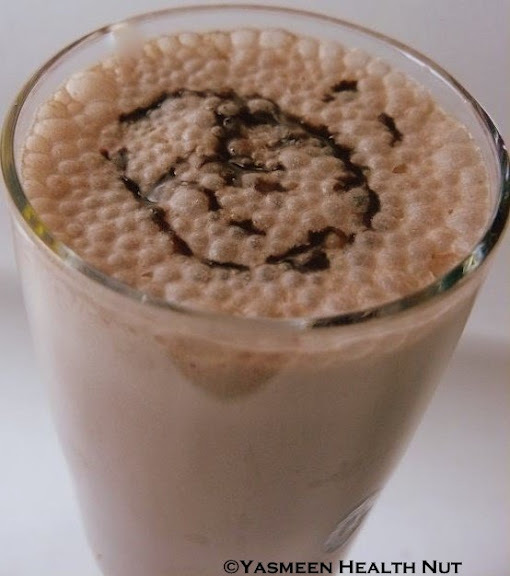 I use skimmed milk for this quick and nutritious shake with anti-oxidant rich unsweetened cocoa.The Chocolate Agave Syrup also made with unsweetened cocoa makes this even more chocolicious.The syrup is also great for topping on any fresh fruit to add an extra touch of chocolate flavor. The Delicious Meets Nutritious cookbook and Xagave can be bought from the official website.Or find the store near you. 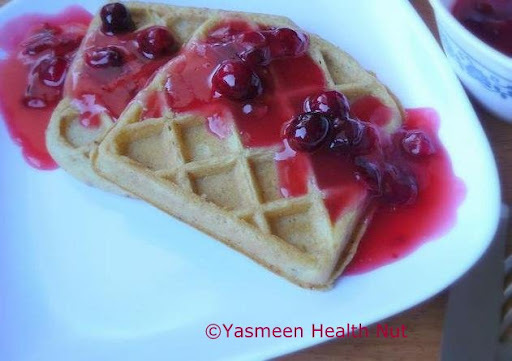 hi yasmeen..great information and awesome recipes!! Hey, that is very informative and the dishes look yummy. Wow, thanks for letting us know. Will try the product. Wonder if this is available in Canada?! Everything looks so tempting...just pass me those waffles right now. Wow wat a lovely spread of delicious bread, sauce and shake...Wonder whether its available here...thanks for sharing all these informations Yas.. Such a treat to the eyes.Hows your kid doing now?I just read in your profile abt the asthma.I pray Allah SWT cures him completely and give him shifa inshallah. What a great sugar substitute, everything looks delicious. The consistancy looks about the same in the pictures as if it had been baked with real sugar! I must say this is one of the best informative post. Must be great for diabetics.thanks for all the info. 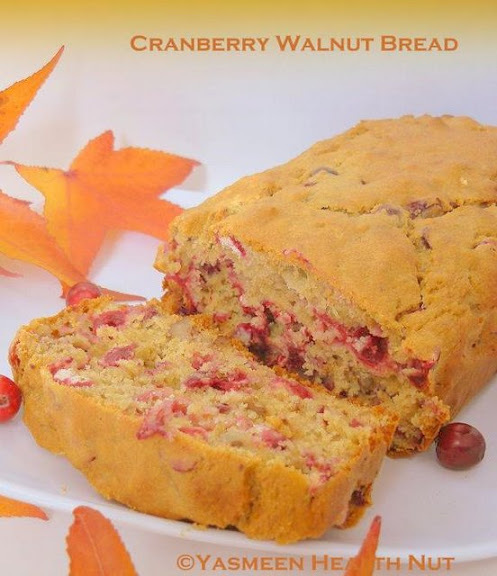 I'm eying on the cranberry studded bread..perfect for the holiday table. Visiting after a long time.As usual fabulous recipes.I do use agave whenever possible,sometimes it hard to find it though. I just made berry banana bread using Xagave - it's great stuff. Oh great find Yasmeen! My mom's a diabetic, so this is perfect. I can use this product in my desserts whenever she comes over for a visit ... then I won't have to feel guilty! Your cranberry sauce is awesome and the photos just spectacular!!! Keep up the good work! PS: Sahale Snacks lines of nut blens and glazed nuts are available in conventional, natural and specialty grocers, as well as cafes,and hotels. 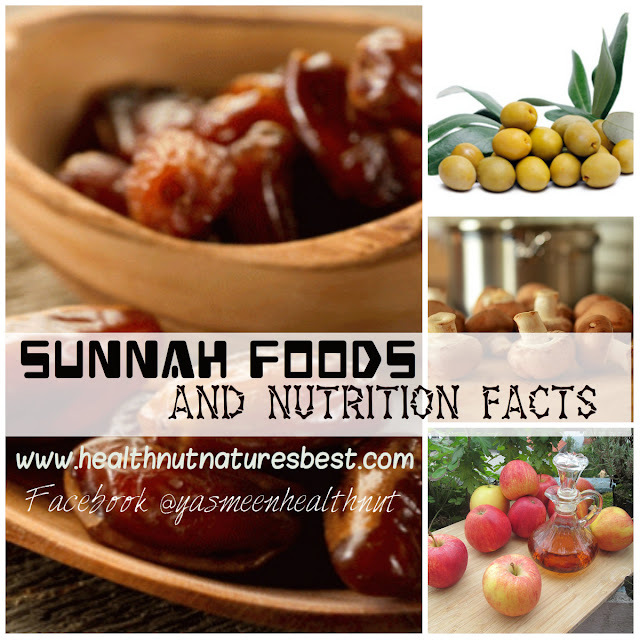 A store locator is available on www.sahalesnacks.com. That is a great info! I love the bread a lot! Wish I could slurp some of that shake right now.Amazing display of good work here. Hi Yasmeen...it is great to have discovered you! you have some of the prettiest dishes...and I love all of them! my kind of deserts too! Thanks for sharing such good info. 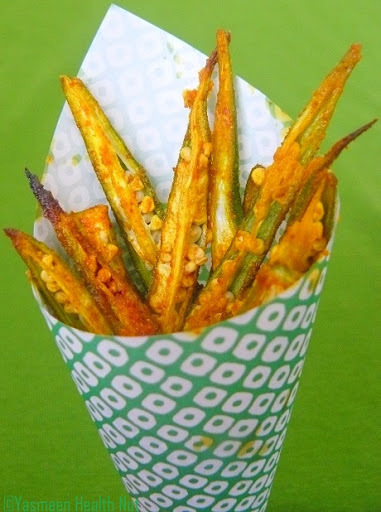 Awesome recipes using Xagave! I've been using blue agave and looking forward to trying xagave (I have samples coming soon). 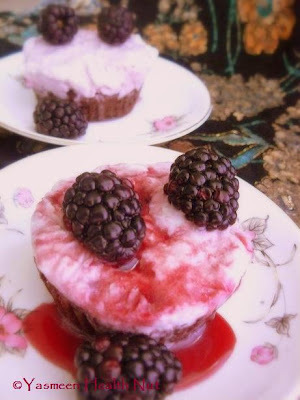 wonderful post and thanks for all the recipes that go along with it! did I miss it or is there a place to purchase this miracle product? I am dying to try it now! Intereting info' I always look out for sugar alternate stuff' and mouthwaterign pictures...looks awesome. Thanks for all the info on Xagave. That cranberry quickbread looks fantastic! I will definitely be making it. I love fresh cranberries and rarely add a lot of sugar to them - I love how tart they are! Yasmeen, I saw the agave sauce in another blog today and was wondering what it was. Because of you, now I know what it is. Thanks. That bread looks wonderful!Thank you for the info! Thank you for this post!These informations are really to be treasured.Xagave-I have to remember this.Do you think it can be found in Europe? Great product.Thanks for useful introduction. There's a hug for you on my blog! It was extremely interesting for me to read that blog. Thanks for it. I like such topics and anything that is connected to them. I definitely want to read more on that blog soon. I must try this new kinda sugar substitute. wow yasmeen,so much valuable info in one post!and everythin looks good. I never tried the Xagave before but I have see it used a lot by so many blogger. will try to find it in health food store. This is my first time visit at hеrе and i am actually happy to rеaԁ everthing at one place.